221 vacancies for the posts of Ayurvedic Medical Officer. Digitally filled and deeply checked online Application Forms are invited from eligible candidates on or before last date. Educated and intelligent individuals candidates must visit the official website of this organization to apply only online for offered Vacancies. Job grabbers should start preparation for interview after apply. All the dynamic personalities who will get appointment their salary will be very attractive with other allowance admissible. Important guidelines regarding process to apply easily for OPSC Recruitment are brought up below by the team members of ejobhub. Dear candidates grab it as such opportunity does not come so frequently. Deserving appliers may submit application form through online mode on or before last date that is 14th January 2019. 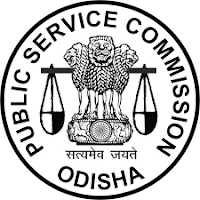 Other best fit chances of jobs for all in Orissa will be available on the official website of this Orissa PSC that is www.opsc.gov.in. All the best to each and every applicant for perfect career in medical field! Bachelor’s Degree in Ayurvedic Medicine and Surgery (BAMS) or equivalent degree from an University or Institution recognised by the Central Council of Indian Medicine. Fee should be deposited through challan. Selection Procedure: Candidates will be selected on the basis of Written Exam & carrier Marking Performance. Now select a link related to this recruitment.